On Sat., Jan. 21, 2017, our sisters will offer a day of prayer and contemplation for our newly elected president and all who serve in public office. Please join us in prayer for this intention in the quiet of your hearts and homes. 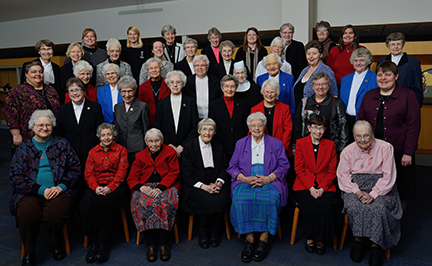 *Special thanks to Deacon Joe Krupinsky for taking this group photo of our sisters in January 2017. We appreciate your time and talent so much!